A Trusted SE Michigan Contractor for Over 30 Years! Galaxy Contracting, Inc. was founded in 1988 in response to an industry-wide demand for a competent, responsible and dedicated general contractor. Our goal is to meet the needs of each of our clients with precision, attention-to-detail, and quality to get the job done without subcontract delays. 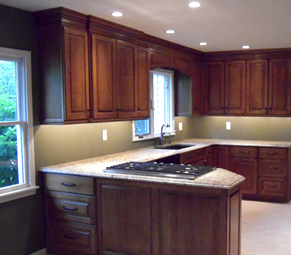 Galaxy Contracting, Inc. has a strong dedication to meet the demands of each project and the ideas of our customers. Our project managers have over 35 years of combined experience in the fields of rough and finish carpentry, gypsum assemblies, ACT, doors and hardware installation. We strive to maintain an excellent working relationship with our clients, which makes for a wonderful working environment for both parties. Combine that relationship with our commitment to service, and we are able to move forward to complete your project in a timely manner. Galaxy Contracting, Inc. is always on time with performance and scheduling. Feel free to review our credit or trade references. Galaxy Contracting, Inc. has a knowledgeable staff of project managers, supervisors, carpenters, and general construction laborers to handle any size project. Defining the needs of the customer. Communicating what our commitment consists of. Fulfilling that commitment to the best of our ability. Contact us today to speak with a member of our team and schedule a consultation where we can discuss your needs. We look forward to working with you! We Take Pride in Our Work... and it Shows! For us, this is more than just a job - it's our passion. We pay attention to even the most minor details that go into every project, and the results are always stunning. The contents of this webpage are Copyright © 2019 Galaxy Contracting, Inc. All Rights Reserved.